After decades of expanding suburbs, the Atlanta metropolitan area is growing from within its borders thanks to high job growth and an influx of young workers. The city’s residential and commercial real estate is being reshaped for the millennial lifestyle, with its emphasis on expansion of its cultural amenities. Private equity investment capital is a primary catalyst fueling new construction or the adaptive-reuse of office and multifamily buildings for this new, technology-oriented workforce. Even as Charlotte emerges as a major rival in the Southeast region, Atlanta continues to expand as a business hub in the region. Its population grew by 88,000 last year, according to the latest Census Bureau figures. Only Dallas and Houston are expanding as quickly. Transportation is the biggest job engine in Atlanta. Hartsfield-Jackson is the world’s busiest passenger airport, and the 15 Fortune 500 companies with Atlanta headquarters include Delta Air Lines and United Parcel Service, which have anchored a thriving supply chain logistics community. Atlanta jobs have become more concentrated in technology over the past decade as well. The Metro Atlanta Innovation Indicators Project acknowledged Atlanta’s tech infrastructure is competitive with Boston, Denver and other powerhouses. Most don’t realize that Atlanta now has nearly twice as many tech workers as Austin, Texas, or North Carolina’s Research Triangle. Chalk it up to a growing list of success stories that includes online lender GreenSky, which raised $874 million in a 2018 IPO from its headquarters in Atlanta’s Northeast Corridor along Interstate 85. And Atlanta’s scrappy startup scene is nurtured by institutions such as Atlanta Tech Village, which was founded by entrepreneur David Cummings, whose Pardot marketing automation firm was rolled into SalesForce. The growth of Atlanta’s tech industry makes for a forward-looking, innovative business environment. The Emory and Georgia Tech campuses encourage industry collaboration, while leading health and bioscience anchors include the U.S. Centers for Disease Control and Prevention, and companies like McKesson and Kimberly-Clark. Thanks to this vibrant business scene, Atlanta’s commercial real estate, multifamily and residential housing markets are great targets for real estate investment. The city is undergoing such a renaissance that Forbes named the Atlanta housing market one of the best to invest in for 2018. The young professional workforce is remaking Atlanta’s sprawling collection of neighborhoods with restaurants and breweries, nightclubs and street art. Streetcars and bike trails along the expanding Atlanta BeltLine connect inner-ring amenities and put recreation close at hand for active millennials. And its expanding public transit system links midtown neighborhoods with verdant outlying suburbs. Apartment rents are at record highs, according to CBRE’s 2018 outlook, yet remain more affordable than in competing cities. Downtown office rents rose 20.5 percent year-over-year in Cushman & Wakefield’s 1Q 2018 market survey, compared to 9.7 percent overall. A newly delivered office tower in Buckhead, a premier submarket, sold for a record $270 million to Florida’s state pension fund, signaling continued demand from institutional investors. As an established real estate market, many neighborhoods straddling both sides of downtown have older, character-rich buildings primed for renovation. Origin is experienced in both ground-up and value-add projects in Atlanta. Multifamily properties in Midtown, Buckhead and Central Perimeter neighborhoods are undergoing substantial renovations and a string of successful industrial building conversions and infill construction projects are modernizing the existing building stock. Former cotton mills and warehouses have become apartments with urban charm and loft offices with flexible floor plans for technology businesses and call centers. Take a video tour of the property named “Best Low-Rise Apartment Community” in the nation by The National Association of Home Builders (NAHB) with Michael Episcope and Dave Welk. The calling card for Midtown’s Ellsworth Office Lofts, an asset Origin bought at the end of 2017, is the celebrated Bacchanalia restaurant, the farm-to-table flagship of James Beard Award-winning chef Anne Quatrano. But this Origin asset also includes two loft office buildings, tenant access to bicycles and electric-vehicle chargers, and vacant land for future residential or commercial real estate development. Also late last year, investors quickly committed to another Origin asset, the luxury apartments at 675 N. Highland, located east of Midtown near the widely acclaimed Ponce City Market. The capital will be used to fund a new development phase for smaller apartments and additional office space. At Puritan Mill, an adaptive-reuse of a turn-of the-century, former soap mill, Origin is developing an adjoining parcel to complement its two fully leased commercial and residential buildings, which are located near steak, seafood and roadhouse restaurant concepts from Atlanta chef Ford Fry. 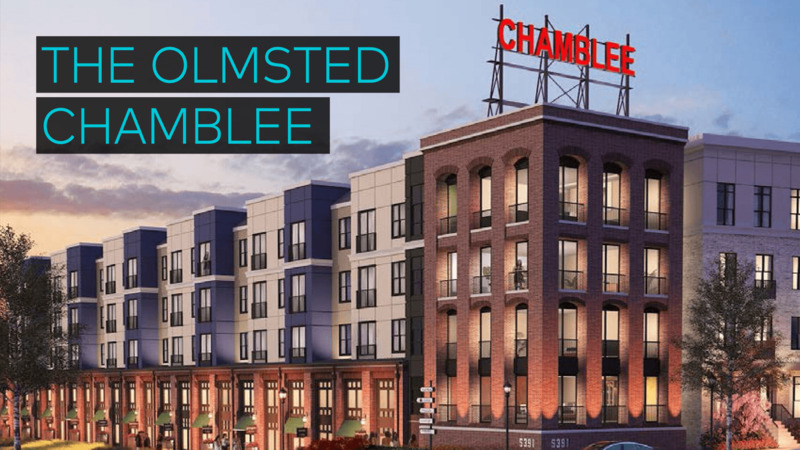 And Origin’s recently developed Olmstead Chamblee apartments, located adjacent to a light rail station, just won a national industry award for its forward-thinking design.